Medicaid fraud is a crime, and federal prosecutors take it extremely seriously. In fact, it has become something of a “hot button” issue among federal agencies, who score political points for saving taxpayers money by reducing the loss of federal funds. As the budget for Medicare and Medicaid ballooned over the course of many years — and as headlines turned a spotlight on high-profile examples of waste and abuse — the government launched a concerted crackdown on fraud over the last decade. The feds now charge more than 1,000 Medicaid fraud cases annually. Those efforts seem to grow even more robust with each passing year, as new Strike Force offices open and audit processes expand. The cases can seemingly come out of nowhere. The investigations typically begin without you realizing it, springing perhaps from an anonymous tip or an accidental billing error you made years ago. Even routine audits can escalate rapidly, making a mountain out of a molehill in the blink of an eye. The potential penalties for a Medicaid fraud conviction are staggering. They range from professional sanctions (including the loss of your DEA registration and/or medical license) to impossible fees and long-term federal imprisonment. Make no mistake about it: a Medicaid fraud case could end your career. But that is exactly when you need to worry. If federal agents (or their contractors) are putting your practice under scrutiny, their goal is to find something wrong; whether it’s an overpayment you need to reimburse or a crime you might have committed. So many Medicaid fraud cases arise out of “I didn’t do anything wrong” scenarios. 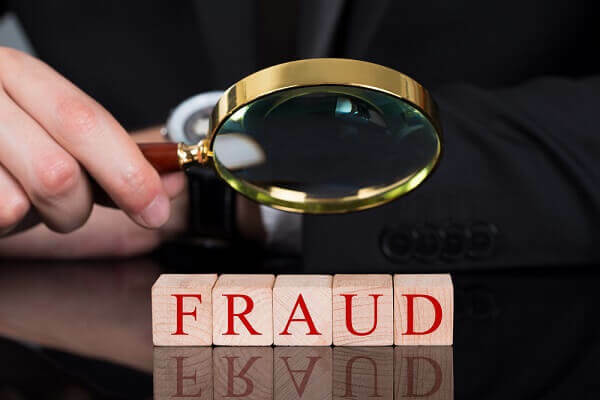 If you’re concerned that you or your practice might be under investigation, you should familiarize yourself with the various Medicaid fraud penalties and seek experienced legal counsel without delay. Below, we look at different types of Medicaid fraud and their respective penalties. Medicaid fraud can be defined simply as the intentional misuse or misappropriation of Medicaid benefits or funds. Many different actions could constitute fraud, and in fact, there is no single list of “bad acts” that qualify. Knowingly making a false or misleading statement (or causing any other misleading representation to be made on your behalf) in order to receive reimbursement through Medicaid. Soliciting or accepting payment from Medicaid with the purpose of committing fraud. Submitting an invoice to Medicaid and then falsifying, destroying, or otherwise altering documents relevant to your Medicaid reimbursement for that bill. Failing to reimburse Medicaid if your health insurance provides coverage for a service after Medicaid already covered it. Allowing someone else to use your Medicaid card so they can get your benefits. Failing to report all your sources of income (including any inheritances) when determining your eligibility for Medicaid coverage. In some cases, fraud committed by one of your patients may trigger a federal audit or investigation of your practice, even if you were not aware of the patient’s fraud. The penalties for Medicaid fraud can include criminal penalties (the sentencing or punishments imposed by a court after a criminal conviction), civil penalties, professional sanctions, and more indirect consequences for your career. Restitution: If, for example, a provider bills Medicaid for a service but also receives payment for the same service from the patient or a private insurance company, the defendant may be ordered to reimburse the patient or insurer (and to pay any additional restitution as required by justice). Fines: Criminal penalties for Medicaid fraud tend to be exorbitant, often amounting to tens or hundreds of thousands of dollars. Probation: Short of imprisonment, a health care provider who is convicted of Medicaid fraud may be placed on probation, during which time the defendant must attend probation meetings and comply with all the court’s requirements. Imprisonment: Prison sentences for Medicaid fraud can range from five years up to life in prison. The length of the sentence is determined by the extent of the fraud perpetrated, and whether a patient suffered bodily injury or death as a result of the fraud (e.g., if a doctor performs an unnecessary invasive surgery just to get the Medicaid reimbursement). In many cases, professional sanctions and certain civil penalties may be imposed based on an allegation alone — before anything has been proven. But criminal penalties and sentencing require conviction in court first. The mere allegation of Medicaid fraud can ruin your reputation. These cases can even lead to other related problems, such as medical malpractice lawsuits by your patients or qui tam lawsuits filed by third parties. An experienced Medicaid fraud defense attorney can fight to reduce or dismiss the charges against you, negotiating with prosecutors and advancing strategic legal theories to keep you in business and out of prison whenever possible. Fraud is an intent crime, which means it isn’t enough for prosecutors to prove that you billed for the wrong treatments or received a kickback for services. They must also be able to prove that you did so knowingly and with intent to defraud the government. The intent element is a real challenge for prosecutors. They can’t read your mind, and yet they have the burden of proof. As Medicaid fraud defense lawyers, our job is to challenge their assertion of intent at every turn. No one can answer that question for you in advance. But at Oberheiden, P.C., we have a long track record of keeping health care providers out of prison. Not only that, but we also keep their licenses intact and their practices in business in the vast majority of our cases. Our lawyers are former federal prosecutors who handled Medicaid fraud investigations for the government. Now we’re working on the other side – yourside. We use our insight and experience from our federal years in your favor. You can count on Dr. Nick Oberheiden and his team of experienced attorneys to fight exclusively and aggressively for your best interests. If you are facing Medicaid fraud allegations, please understand that the government will do everything it can to convict you and secure the maximal penalties. It is in your best interest to get aggressive and deeply experienced legal representation on your side as soon as possible. Contact our office. We’ll give you the Medicaid fraud penalties information you need, and we’ll explain how our office can help you fight for your freedom and good name. Our lawyers are standing by 24/7, seven days a week, even on weekends. Call 888-356-4634 right away. Federal Health Care Fraud Defense Firm – Oberheiden, P.C.